Here’s the thing, Elliott Bay Bicycles, an historic gem of bike culture, is closing and we’re flattened by the news, like losing all momentum. It was a shop with a resident builder — and the source of inspiration for much of our writing, including our travels with S&S bikes stuffed in suitcases. We’ll miss it but will have more stories to tell after Bob Freeman retires and Bill Davidson finds a new location. This issue started out with a Back to School theme. We have articles from Zanne, Shawn, and David about that, but also paused our regular programming to share what we remember the most about the shop, once we learned it was closing. As Patrick wrote for this issue, it’s sad to lose another great American bike shop. This one was located in downtown Seattle between the Space Needle and Pike Place Market where they throw fish and buskers play street music. 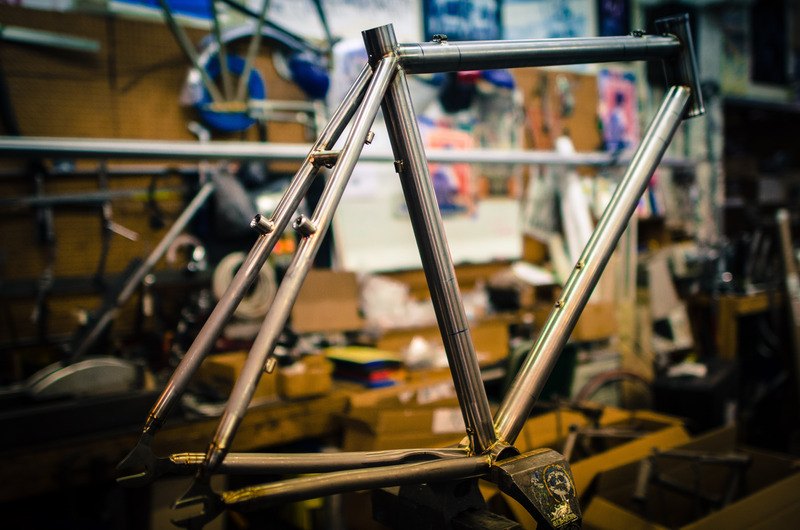 It’s where they made bikes with soul for 31 years, like the D-Plus, a bike built to fight. In the background of the photo is the machine shop. The bike represents the work of a master builder, bike stylist, machinist, welder, and creatives. Also a time to remember how things change. This is my editor’s letter from Issue 16 that drops today on iTunes and the Web. 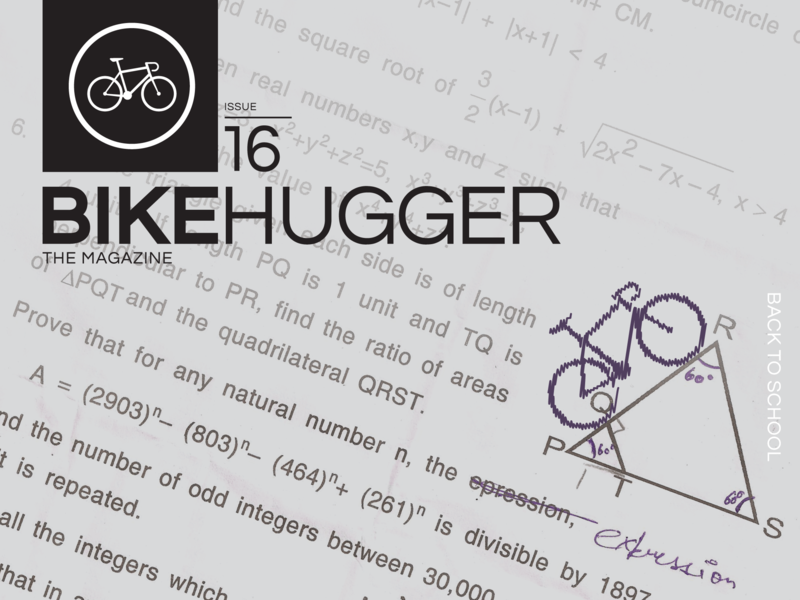 Bike Hugger Magazine is ad-free and costs $16.00 for a subscription or $4.00 an issue. Patrick Brady’s article about shops like Elliott Bay Bicycles is the cover story and you can read it for free with a sign in.